I was wrong, well, half wrong. Yesterday, the first day of the year 2011, my sister decided that we (his boyfriend Arman and I) go to 168 mall. Her assumption was that 168 won’t be congested with shoppers since it’s New Year’s day. Well, her assumption was right since 168 was closed. 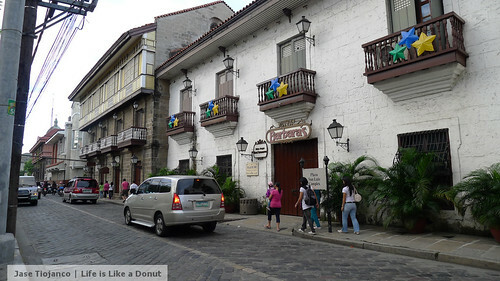 Rather than wasting our travel to Manila, Arman decided that we tour Manila instead. Here are some photos I took during our tour. This is the San Agustin Church inside Intramuros. 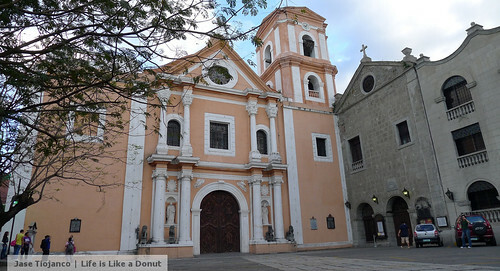 It is the oldest Church in the Philippines that is still standing. It is a UNESCO World Heritage site. 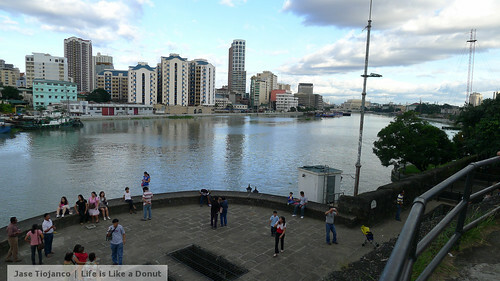 Manila across the Pasig River. 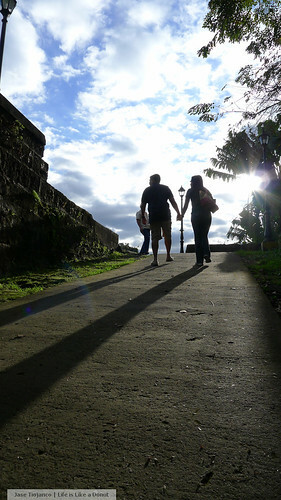 This photo was taken from Fort Santiago. 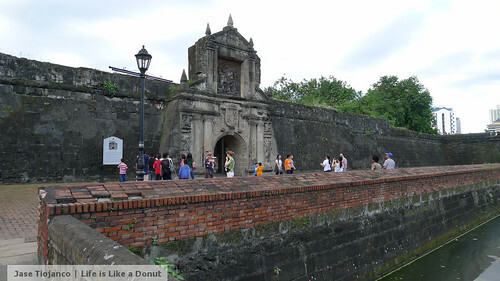 This is Fort Santiago, a defense fortress inside Intramuros. 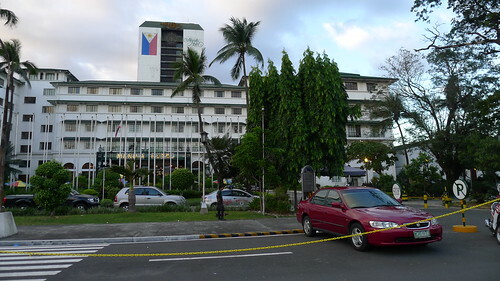 Jose Rizal, the Philippine National Hero, was imprisoned here before his execution in 1896. 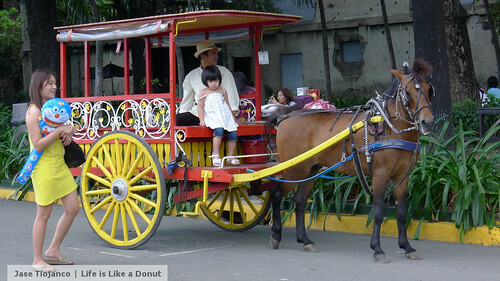 I couldn't resist taking a photo of the child aboard the kalesa. So cute! I don't know what this building is called but I found it beautiful. It has the flag of Poland in front. Anyone knows what this building is called? 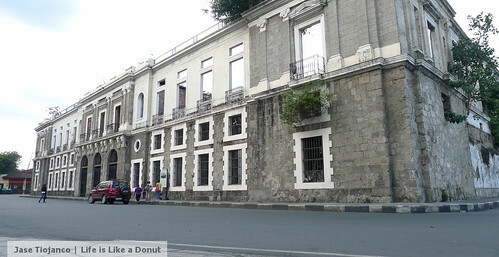 This is the Aduana, the Customs House during the Spanish Period. I find this building beautiful as well. It's such a shame that it is left in this state, this could be turned into a usable building. Luneta Park. I'm not sure if it's usually like this there but there were a lot of people. Kites were being flown, cool. 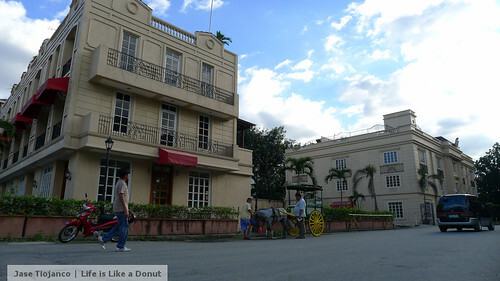 The Manila Hotel is the oldest hotel in the Philippines. It has hosted notable personalities such as Michael Jackson, John F. Kennedy, The Beatles, et al. The photos pretty much sum up our tour of Manila. The brief journey through the streets of our nation’s capital gave me a glimpse of the hidden beauty of it. Once you look past the eyesores, you’d see gems from the city’s past. I know it’s almost impossible to return its previous glory but I am still hoping that someday, I will wake up to a beautiful and grand Manila. yeah yeah i agree with you from the bottom of my heart its true! and i also love the photographs, so splendid so captivating it appease the strains running through my vessels, penetrating the heart that beats, resembling a tamborine tingi-ling ngi-ling!!! When I happen to pass by Intramuros or any other type of old architecture around Manila, the wish of living to see how grand and glorious everything was back then always crosses my mind. Nice pictures! 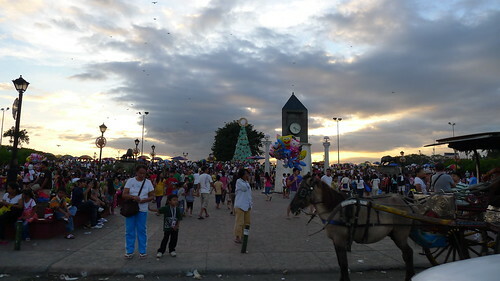 I find the kalesa picture particularly interesting, probably because I have never ridden in one. Thank you! 🙂 I have yet to ride a kalesa as well.